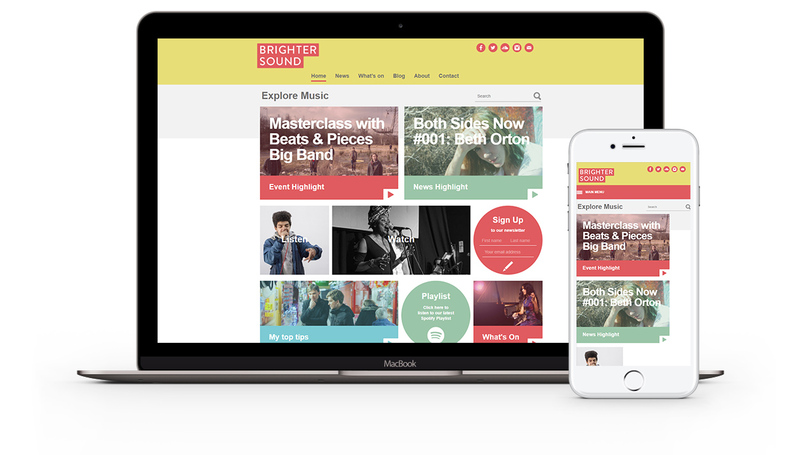 Brighter Sound create music projects and organise events in Manchester, pioneering new ways to explore music making. They work with a diverse sample of young people, with each of their projects pushing creative limits and imaginations. Widely known for their work in the Manchester area, we developed a magazine style website for them, allowing to post a huge variety of content on the website witha bold and colourful design. Fully responsive on all devices, and managed via a customised WordPress CMS, their new site has received many good reviews since launching.